Includes 2 tickets to both the VIP Reception and the general book signing event with reserved seating. Open beer and wine bar reception and free parking. Please provide the names of your guest below. Includes one ticket to both the VIP Reception and the general book signing event with reserved seating. Open beer and wine bar reception and free parking. Please provide the names of your guest below. Entrance to the Galleria event only. Only for Cobb GOP Chairman’s Council and Trustee members. $40 for the first ticket, $20 for the second ($60 total). Only one book. $50 for the first ticket, $30 for the second ($80 total). Only one book. Does not include a copy of Mr. Spicer's book. Books may be purchased separately (cash or check) while supplies last. Entrance to the Cobb Galleria Event and one book per guest. Includes 4 tickets to both the VIP Reception and the general book signing event with special reserved seating. Open beer and wine bar reception and free parking. Please provide the names of your guests below. Includes 8 tickets to both the VIP Reception and the general book signing event with special premium reserved seating. Hall of Fame sponsors may arrive at 4:00 PM for an exclusive 30 minutes reception period. Open beer and wine bar reception and free parking. Please provide the names of your guests below. Includes one ticket to both the VIP Reception and the general book signing event with reserved seating. Open beer and wine bar reception and free parking. NOTE: Mr. Spicer is NOT charging a fee for his appearance. All money raised will go directly to support GOP Get Out the Vote activities for Cobb and Statewide candidates! 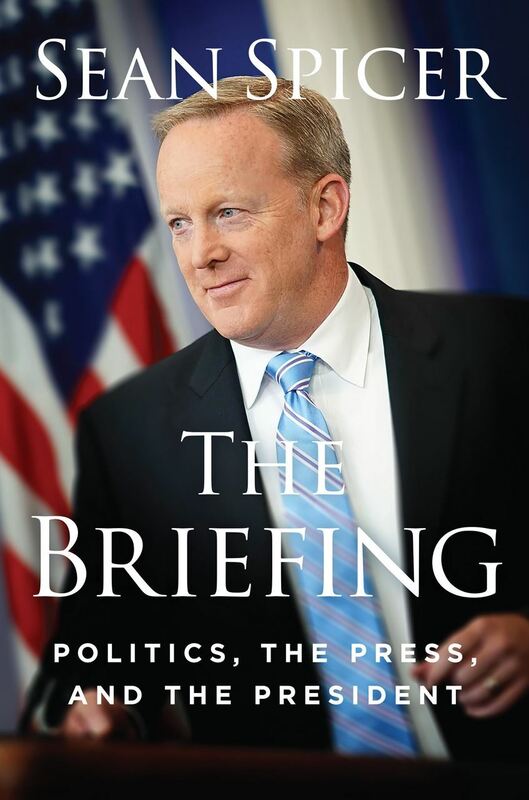 Come to the Cobb Galleria to hear Sean Spicer talk about his experience as President Donald Trump's first White House Press Secretary and then get a signed copy of his newest book, The Briefing, Politics, the Press, and the President. Your ticket will include a copy of Mr. Spicer's book. Because of security concerns, there will be NO TICKETS SOLD THE DAY OF THE EVENT! Sponsors will get a very special opportunity to attend an exclusive VIP reception with complimentary refreshments and photo opportunity before the general event, along with complimentary parking. Sponsors will also be recognized at the event and online. Includes 8 tickets to both the VIP Reception and the general book signing event with special premium reserved seating. Hall of Fame sponsors may arrive at 4:00 PM for an exclusive 30 minutes reception period. Includes 4 tickets to both the VIP Reception and the general book signing event with premium reserved seating. Includes 2 tickets to the VIP Reception and the general book signing event with reserved seating. Includes entrance to the event at the Cobb Galleria and a copy of Sean Spicer's book, "The Briefing, Politics, the Press, and the President". Parking not included. Includes entrance to the event at the Cobb Galleria and only one copy of Sean Spicer's book. Parking not included. A limited number of additional books will be available for sale at the event.